Anton Bruckner’s symphonies thunder with apocalyptic power, weep with unaffected grief, dance with earthy country humor, and astonish with their sheer magnificence of Sound. 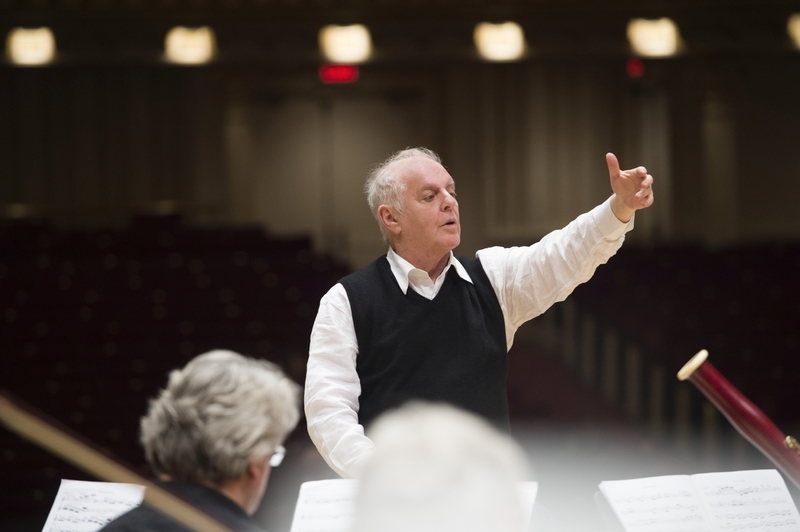 In a recent conversation, Barenboim reflected on his first exposure to Bruckner’s works and why they have since become highlights of his repertoire. What can you say about Bruckner’s symphonies for those who are unfamiliar with his works? Three great composers wrote nine symphonies: Beethoven, Mahler, and Bruckner. Beethoven and Mahler looked for a different idiom for practically every symphony. But that is not the case with Bruckner. One often talks about the architecture of a work. But with Bruckner’s symphonies, sometimes I have the feeling that each goes deeper and deeper, more like an archeological expedition rather than an architectural building. One of the characteristics of the Bruckner symphonies is that the music does not start as being »here,« but rather it »becomes.« In the later symphonies, you very often feel that there is a kind of delayed action—there’s no music, there are just strings trembling before the music actually starts. 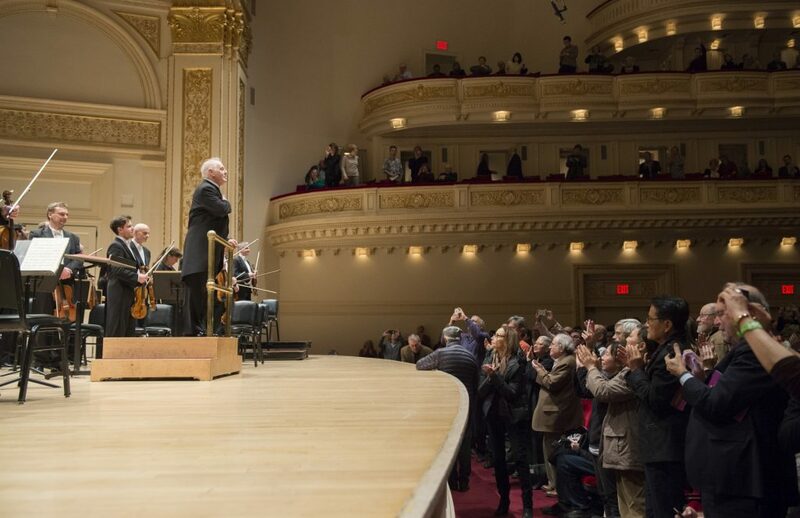 This is the first time in the history of Carnegie Hall that all nine of Bruckner’s symphonies are being performed in a single season. Why has it taken so long for audiences to be introduced to his music? I remember conducting Bruckner’s Ninth at Carnegie Hall in 1973 with The Cleveland Orchestra, and people thought it was some kind of rarity. For many, many years, Bruckner was considered only fit for Austrian consumption—not even German. He was very much a sort of unusual character from a small country. And then, of course, the Germans adopted him too, but it took a long time for Bruckner to really be accepted. How did you first become familiar with his works? Bruckner was really one of the main reasons I started conducting big symphony orchestras. When I was 15 years old, I was on my first tour to Australia as a pianist and performed with conductor Rafael Kubelík. He said to me, »I am rehearsing the Ninth Symphony by Bruckner. You should come.« He asked if I knew anything about Bruckner, but I had honestly never even heard the name. »Well, you should come to listen. It’s very important.« I actually went to all the rehearsals and was fascinated. I loved the music so much. Then and there, I decided I wanted to conduct Bruckner one day because I liked the complexity and the ferocious nature of the music’s character. What do you love most about Bruckner’s works? There is something atmospheric in Bruckner. I was always intrigued by this Bruckner universe, which gave me the feeling that he’d traveled over several centuries. The form of his symphonies is really Baroque, classical Baroque; the musical language is post-Romantic, post-Wagnerian; and there’s something in some of the music—in the Fifth, for instance—that sounds almost of the Middle Ages. And so I feel that in the Bruckner symphonies, there is a huge journey through the history of mankind. When I conduct Bruckner, I feel I’m really covering a span of four or five centuries, and this is really what I love the most about it. What advice would you give to someone who is experiencing Bruckner for the first time? You know, the English language gives us a very clear indication of the difference between listening and hearing. You can listen and not hear, and you can also hear and not listen. That’s, I suppose, what you do when you’re in the elevator or in the restaurant and there’s music—you don’t listen, but you hear. Bruckner requires concentration. Bruckner needs application on the part of the listener. Bruckner needs listening, careful listening. The music has a very serious aspect to it. Some think it is an expression of his Catholic faith. A lot has been written about that—about the goodness of Bruckner, in the Catholic sense—but it’s not only that. The complexity of the music—both the complexity and, funnily enough, the utter simplicity of it—requires careful listening. You recently performed this cycle with the Staatskapelle Berlin. 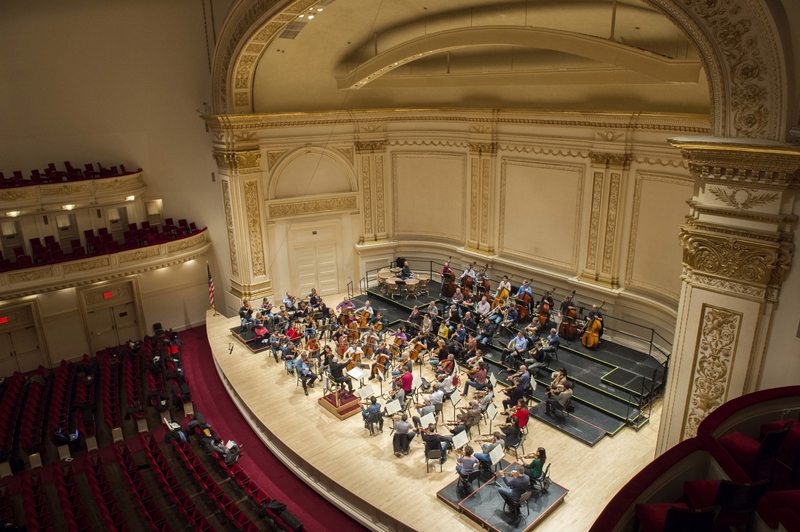 How will the performances at Carnegie Hall be different? The most wonderful thing about music is its unrepeatability. It’s never the same. It’s not the same twice in one day and it’s certainly not the same from one day to another. The wonderful thing about music—and the reason why being a musician is really a great luxury—is that every time you do a piece, you know more about it than the time before. There is always some aspect or some connection that was not so clear to you until a certain day, until the time was right. But you start from scratch each time because the sound is gone from the last performance—it cannot be routine. Somebody who has a routine, who tries to achieve the same thing in a routine way, is—at least for me—not a musician. A musician is somebody who has the capacity to learn from every performance, and therefore start afresh from zero with more knowledge every single time. What do you think makes Bruckner relevant today? Basically, it depends how you feel about music. If music is only a question of entertainment and the pleasure of a pastime, then obviously Bruckner is not the composer for you. If music is an expression of what can be expressed that cannot be expressed in any other way—namely with words—then Bruckner is of extreme importance. But it really depends on what you think is important about music. If you are interested in what is possible to express with music, or better said with sound, then Bruckner is, in my view, a very important composer. Nach einer Pause von acht Jahren kehrt die Staatskapelle Berlin vom 19. bis 29. 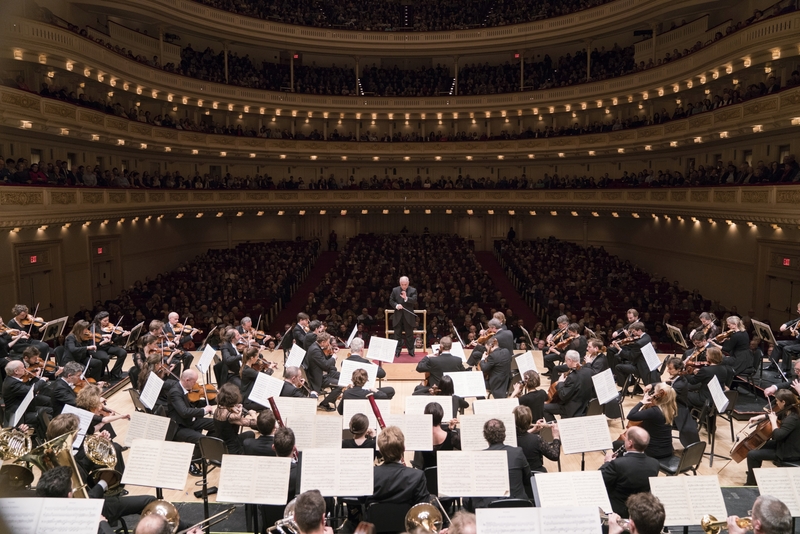 Januar an die Carnegie Hall zurück, um dort zum ersten Mal in der nordamerikanischen Musikgeschichte alle neun Bruckner-Sinfonien aufzuführen. Der zweite Teil des Abschlusskonzertes mit Bruckners 9. Sinfonie wird am 29. Januar per Livestream ab 20:45 Uhr (CET) online mitzuerleben sein.